what enables us to make progress and help you to improve. Objective: Among other measurements, to determine the harvest, the production, the weight of the fruit, the fat yield and its humidity. The trial involves harvesting with a self-propelled machine in order to see the data of the harvest. Carried out by: TODOLIVO S.L. 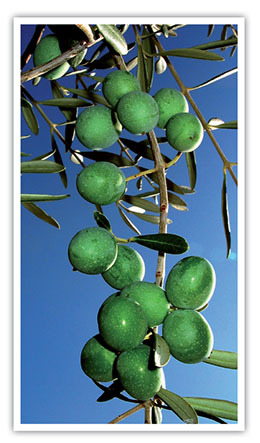 Objective: The recuperation and selection of varieties of olives which stand out due to their peculiar flavours and exceptional oils and have interesting agronomic strengths for high density olive growing such as a high level of productivity or fat yield, adaptability to different types of soils, resistance to drought, to cold or to root suffocation, or they have resistance to or natural tolerance against diseases, etc. Some of these varieties had almost disappeared and others were local varieties unknown to the general public. Our first contact with this variety was in the eighties, in some exploitations in the municipal areas of Adamuz and Montoro (Cordoba). 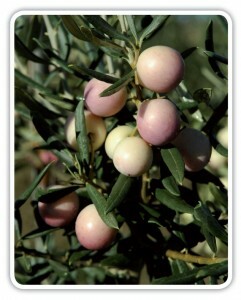 In these there were several varieties of olive, among which was the Imperial variety but in a minority. 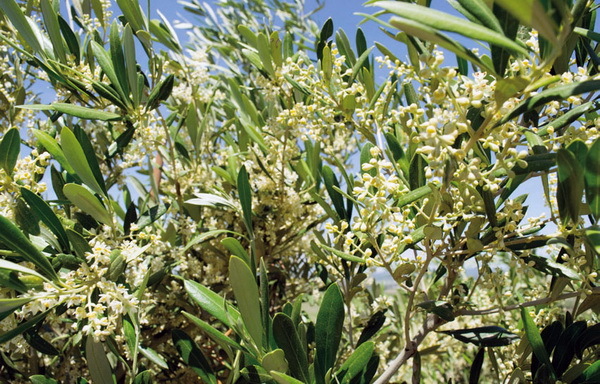 This soon attracted our attention due to its reduced bearing (one third of the size of the Picual variety) and because, despite being in the same soil as other varieties near to it, it never lacked water, it always maintained a good load and was not affected by olive peacock spot, the Spilocaea oleagina fungus). 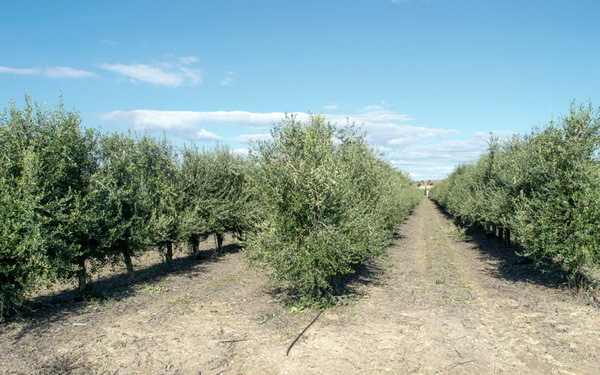 Subsequently we carried out a selection process and we evaluated it in a high density olive grove with excellent results. 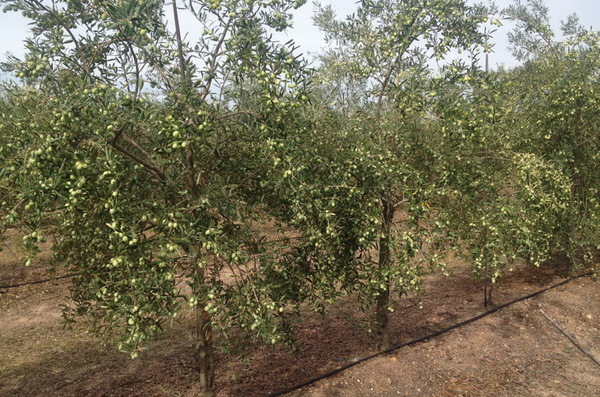 selection process and we evaluated it in a high density olive grove with excellent results. It should be pointed out that, besides the characteristics mentioned before, it is a variety with average and constant production, with early flowering an early ripening. It has an excellent pulp/stone ratio. 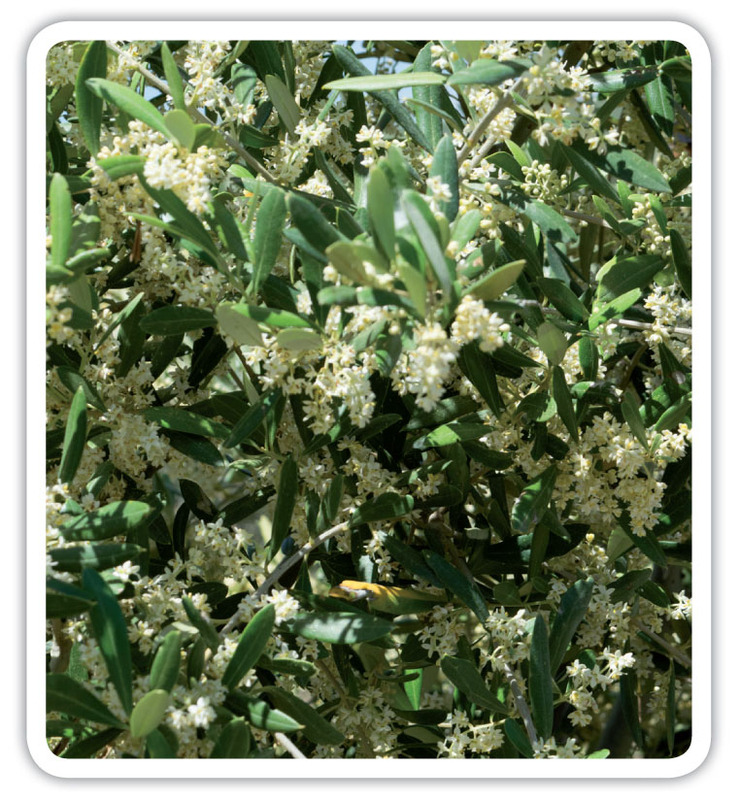 It tolerates winter cold and the humidity of the soil well, and it confirmed its excellent resistance to drought, tolerance to Olive Peacock Spot, Olive Fruit Fly and Tuberculosis. However, what most surprised us of this variety is its exceptional, singular oil, which has led to us extending our database of sensorial registers. 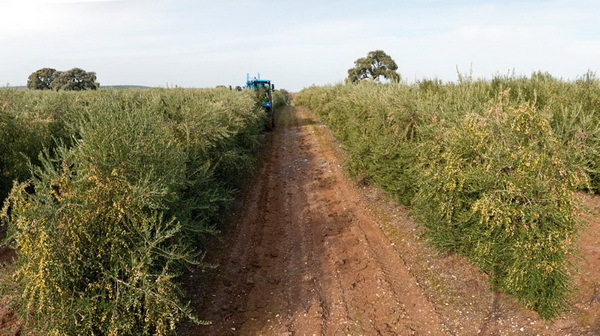 Its early ripening means that it is harvested in September-October and its oil is the first to arrive on the market when the prices are higher and more profitable for the grower. 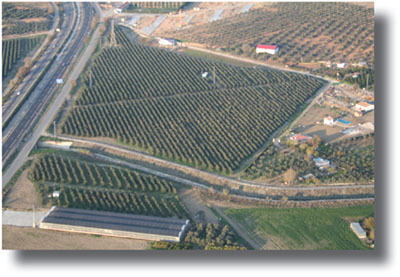 Location: Todolivo Research Estate (Pedro Abad-Cordoba) and estates planted and assisted technically by Todolivo in Spain, Portugal and Morocco. Objective: To study the nutritional management with Litonita and crushed remains of pruning. Maintenance pruning and study of nutrition in the different phases of cultivation. 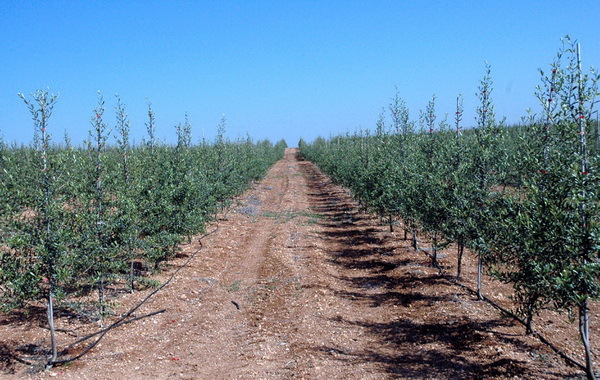 Objective: To determine the adaptability of rainfed high density olive groves with several layouts, types of soil and handling. 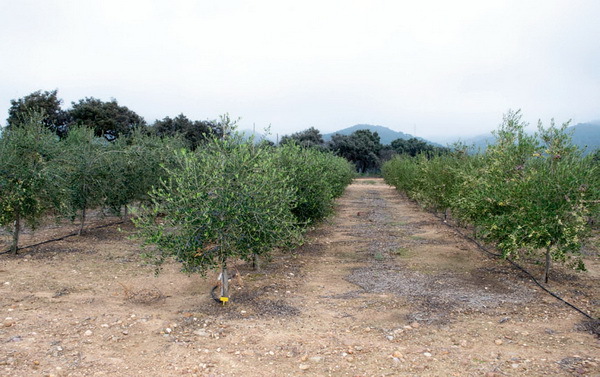 Objective: To study the agronomic performance of the varieties mentioned in rainfed high density olive groves. Location: Estates in Brenes and Espejo. Planted and technically assisted by Todolivo. 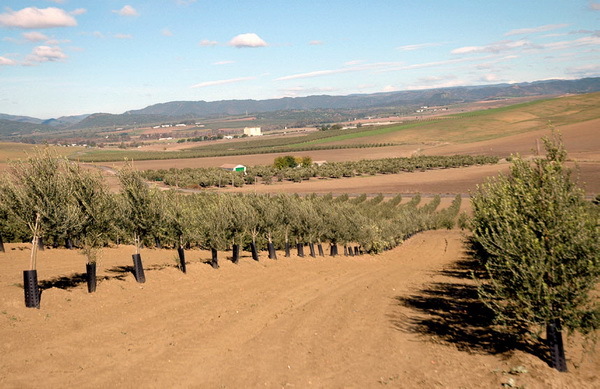 Objective: To determine the adaptability of the High Density Olive Grove with backup irrigation, different plantation layouts, types of soils and handling. 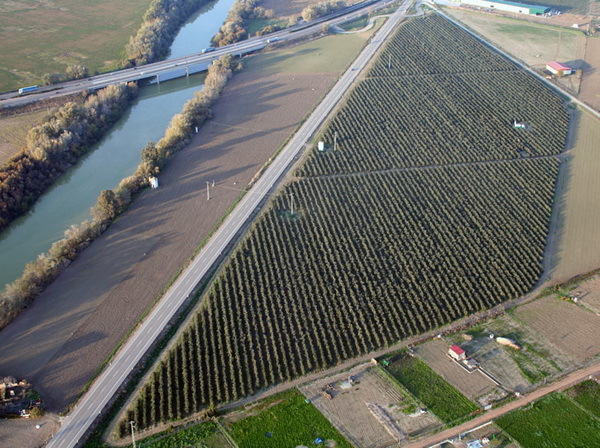 Location: Todolivo Research Estate (Pedro Abad-Cordoba) and estates planted and technically assisted by Todolivo in Spain, Portugal and Morocco. 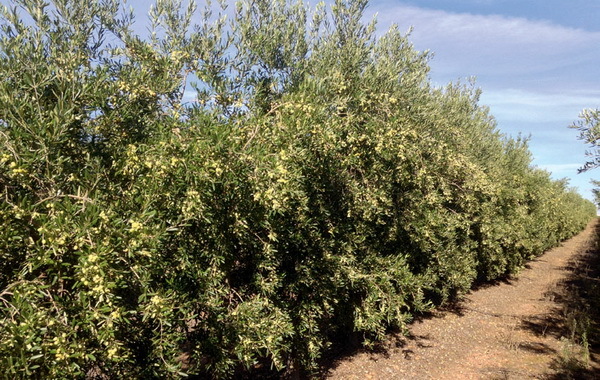 Objective: Development of new prototypes of olive harvesters, using the knowledge and experience of the technical team of Todolivo and carrying out trials in plantations with the Todolivo High Density Olive Grove System. 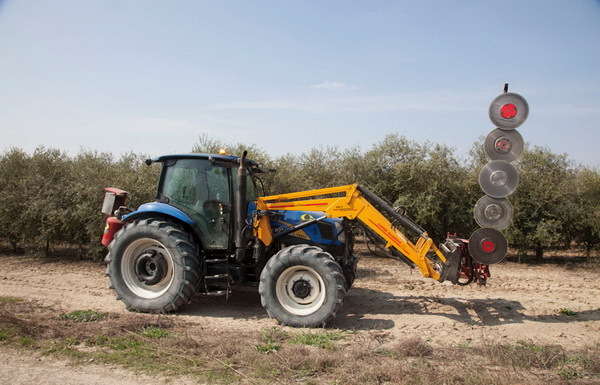 Todolivo bought the harvester G-120 Sw, and the first prototype manufactured by the company Gregoire for the exclusive harvesting of olives, the “G-133V” model. Variety: Arbequina i-21®, Arbosana i-43®, Koroneiki i-38®, Arbequina i-18®, UCO 1-68, UCO 2-35 and FS 17. Objective: Among other measurements, to determine the harvest, the weight of the fruit, the fat yield and the humidity of the fruit, as well as the acid and organoleptic composition of the oils in each elementary plot. 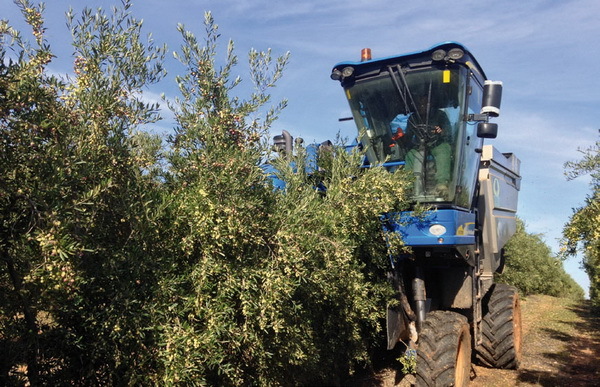 The trial olives were harvested by a self-propelled machine in order to see the handling of each one of the varieties. Location: Todolivo Nursery in Pedro Abad. Objective: To create a field of “Mother Plants” in order to multiply certified vegetable material. 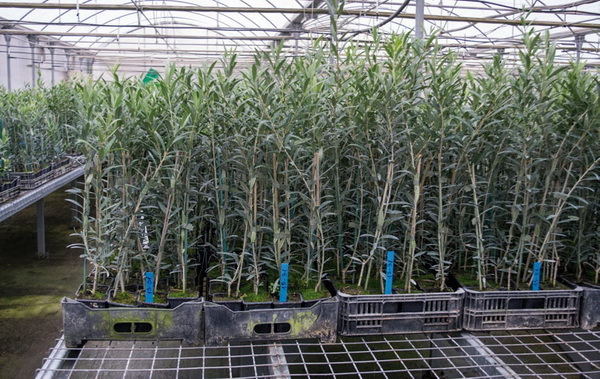 The best clone heads have previously been selected in estates of Todolivo SL and a reservoir has been created with the Reserve and Starter Plants genetically controlled by the Regional Ministry of Agriculture. Location: Quinta do Quinto, in Santarem the property of the Universidad de Santarem and technically assisted by Todolivo. Variety: Negrinha, Arbequina i-21®, Arbosana i-43®, Carrasquenha, Cobranços, Galega, Cordovil, Koroneiki i-38®, Verdial and Redondil. Objective: Among other measurements, to determine the harvest, the productivity, the weight of the fruit, the fat yield and its humidity, as well as the acid and organoleptic composition of the oils in each elementary plot. Moreover, the trial crop is harvested by a self-propelled machine in order to see the handling of each of the varieties in two different layouts; 3,75 x 1,35 m y 3,75 x 1,80 m.
Location: Todolivo Research Estate in Pedro Abad (Planted in 1999 in Cordoba). 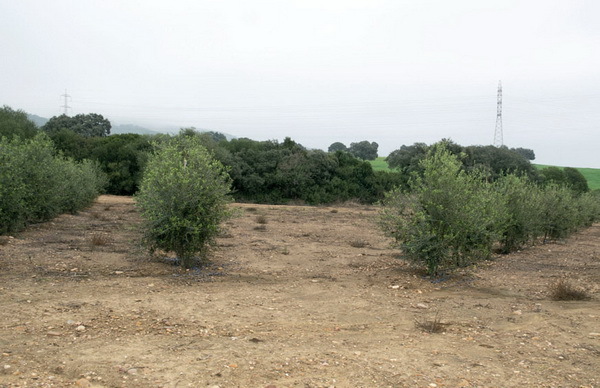 Objective: To determine the capacity for renovation and regrowth of the high density olive grove. This trial is being carried out in the Todolivo Research Estate planted in 1999. 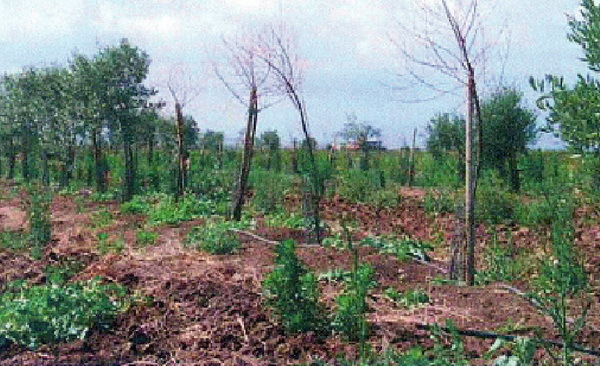 In the year of commencement of the trial, cutting down was carried out to different heights (to 30, 50, 70, and 170 cm with thinning of shoots) and this was compared with an indicator plantation which was not cut down. 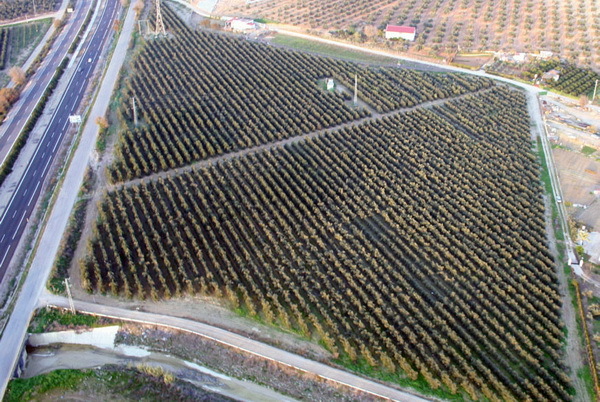 In order to quantify the effectiveness of the pruning, evaluating its economic feasibility (yield and operative costs) compared with the traditional pruning in line. 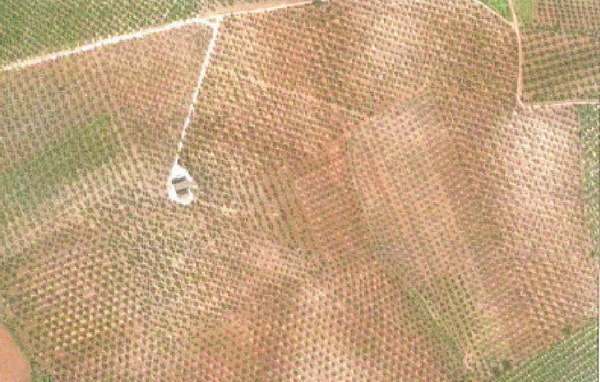 Location: Estate in Castro del Río planted and technically assisted by Todolivo. Objective: To determine the difference in self-compatibility (capacity to self-pollinate), productivity, fat yield, etc. Location: Todolivo Research Estate in Pedro Abad (Cordoba). Objective: Among other measurements, to determine the productivity, the weight of the fruit, the fat yield and its humidity, as well as the acid and organoleptic composition of the oils in each elementary plot. The trial crop is harvested by a self-propelled machine in order to see the handling of each of the varieties. Carried out by: TODOLIVO in collaboration with the Universidad Politécnica de Madrid. 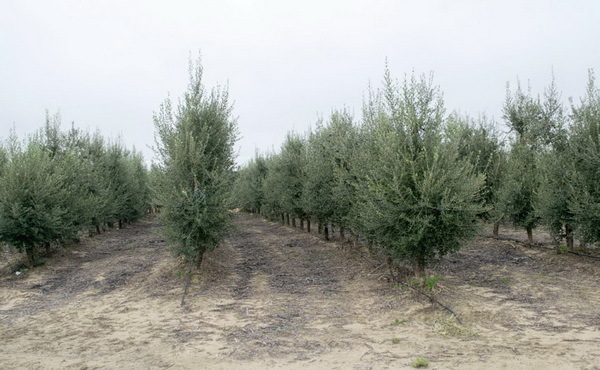 Objective: To determine the usefulness of carrying out mechanical pruning (or topping) at three heights (2, 2.75 and 3.5m) in the control of the robustness of the high density olive grove. This trial is being carried out in a plantation established in 1999. The mechanical pruning at several heights has been carried out since the plants reached these heights. 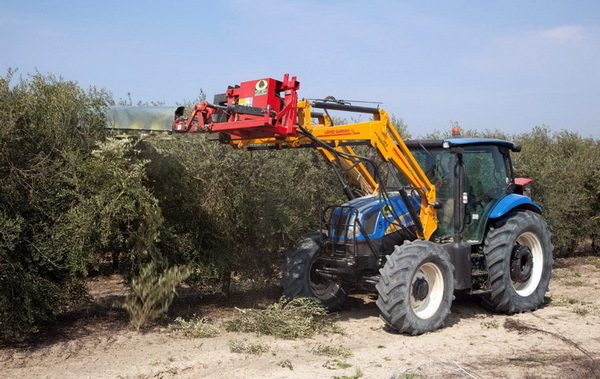 Objective: To evaluate the usefulness of carrying out mechanical topping pruning in the control of the robustness of the high density olive grove. 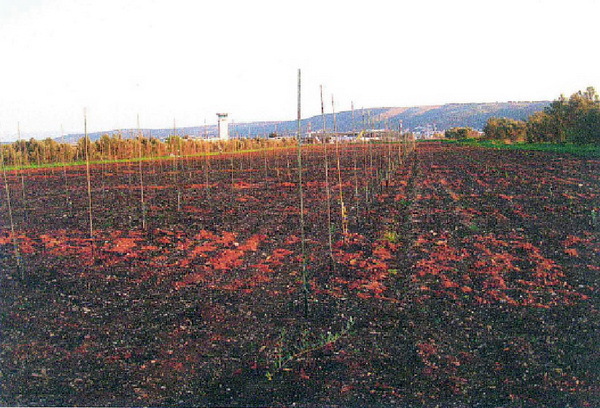 This trial will be carried out in an estate planted in 2004. Mechanical pruning has been carried out since the plants reached this height in 2006. 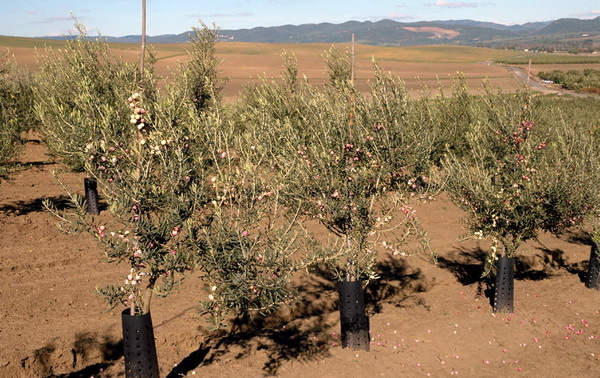 18 - TRIAL OF AGRONOMIC PERFORMANCE OF VARIETIES OF OLIVES FOR HIGH DENSITY OLIVE GROVE PLANTATIONS IN MOROCCO. Objective: Among other measurements, to determine the productivity, the weight of the fruit, the fat yield and its humidity, as well as the acid and organoleptic composition of the oils in each elementary plot. 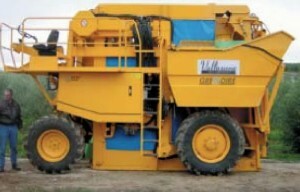 The trial involves harvesting with a self-propelled machine in order to see the handling of each one of the varieties. Objective: Comparative study of the parents selected by the UCO and the IFAPA from the genetic improvement programme which created Siktita. Location: Estate in Campo Maior, planted by Todolivo and currently the property of Sovena, Estate in Umbrete (Seville) planted and technically assisted by Todolivo. Objective: To determine the agronomic performance of several varieties of table olives in high density plantations with different layouts. 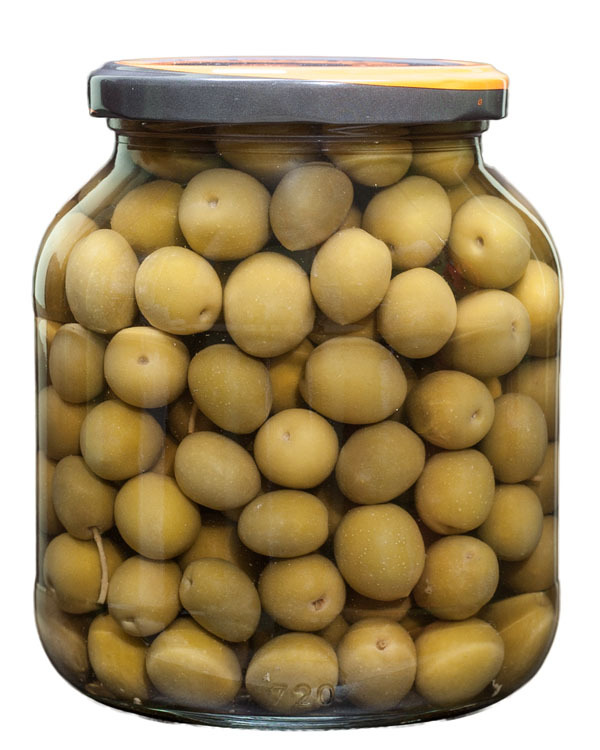 The following were analysed: size of fruit, speed of harvesting, cost of harvesting, state of the olives immediately after the harvest and after the “cooking” process (the usual and traditional process the olives are subjected to for dressing in the style of Seville). 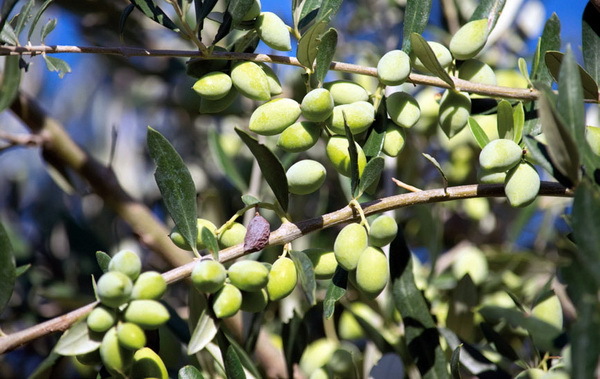 Histological data of the tissue of the pulp was obtained in order to have detailed knowledge of the possible cellular damage to the olives caused by harvesting with a harvester. 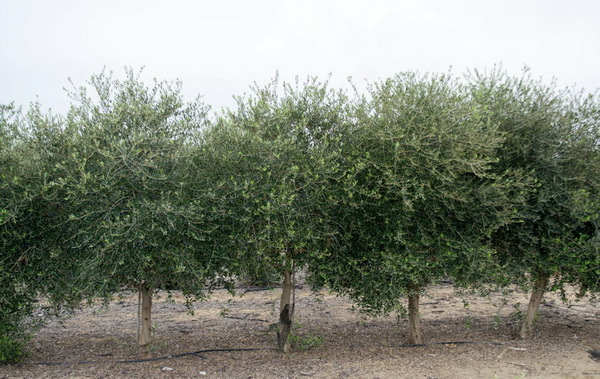 The excellent results obtained in the trials carried out open a door of hope for the table olive sector. Given the importance the table olive sector has in Spain and throughout the world, and aware of the difficulties this is going through (high harvesting costs and lack of profitability, which is why many olive growers consider abandoning its cultivation), in 2007 we decided to include it in our R&D&I programme with a number of trials in order to evaluate the agronomic performance of several varieties of table olives in high density groves with different layouts. 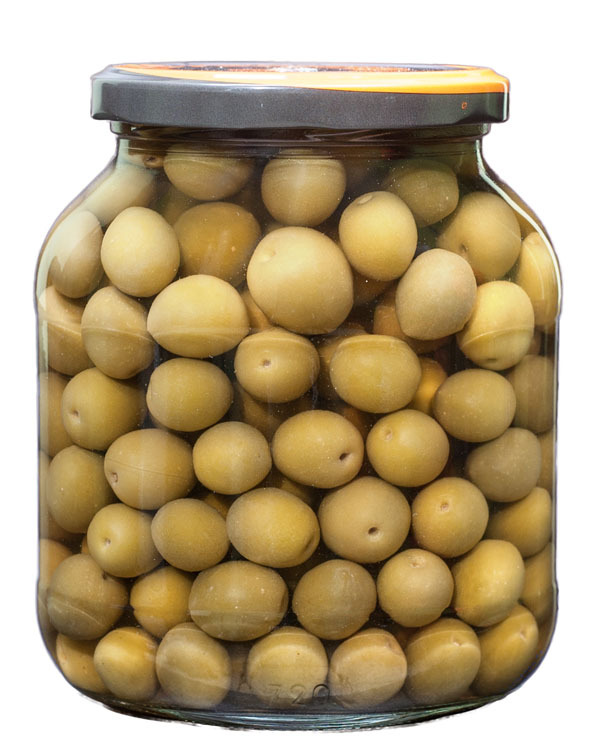 Content of the trial: the following were analysed: production, fruit size, harvesting speed, cost of harvesting, state of the olives immediately after harvesting and after the “cooking” (normal and traditional process the olives are subjected to in the industry for their dressing in the Seville style). 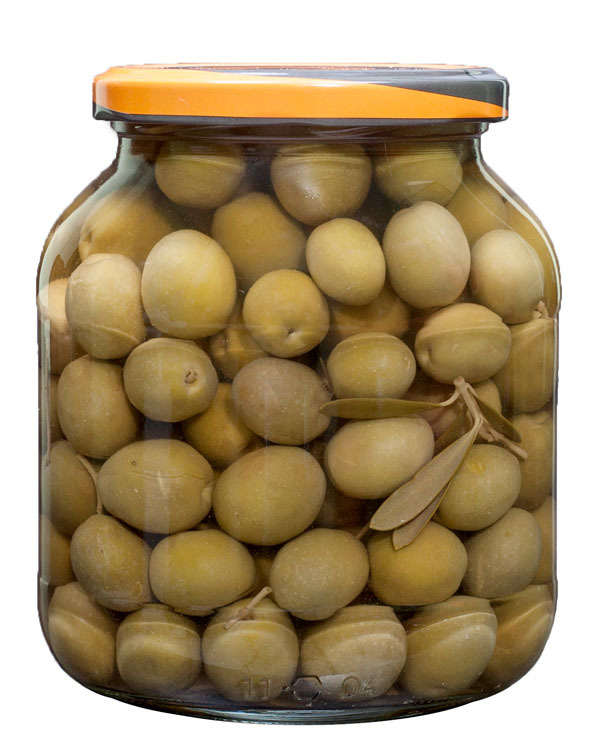 Histological data of the tissues of the pulp were obtained in order to have detailed knowledge of the possible cellular damage caused by the harvesting of the olives with a harvester. 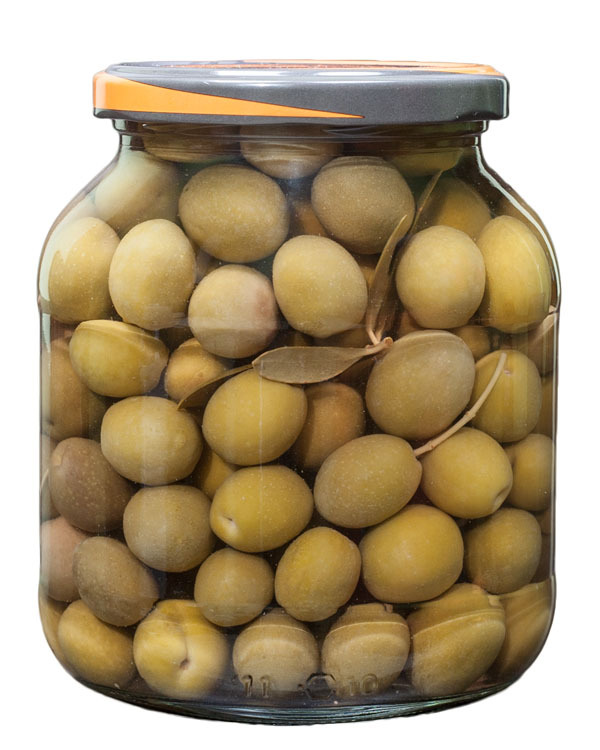 Note: On the estate, the recently harvested olives were placed in water tanks with 2.4% diluted lye while awaiting transport in tankers to the dressing industry. Note: That year the Universidad de Sevilla collaborated jointly with Todolivo in carrying out the trial. Average size of the fruit: 3 g manzanilla cacereña and 3.5 g manzanilla sevillana. State of the “Manzanilla Cacereña” olives after the traditional “cooking” process they are subjected to in the dressing industry. Location: Plots in estates in the Portuguese Alentejo planted by Todolivo and technically assisted by Sovena. Variety: Sikitita, Picual i-11, Nevadillo azul, Lechín sevillano, Hojiblanco i-53, Lechín de Granada, Cornicabra, Cuquillo, Arroniz, Coratina injertada en Frantoio, Frantoio, Coratina, Maurino, Pendolino, Leccino Moraiolo, Tosca, Cobrançosa and Galega. Objective: Among other measurements, to determine the harvest, the weight of the fruit, the fat yield and the humidity of the fruit, as well as the acid and organoleptic composition of the oils in each elementary plot. 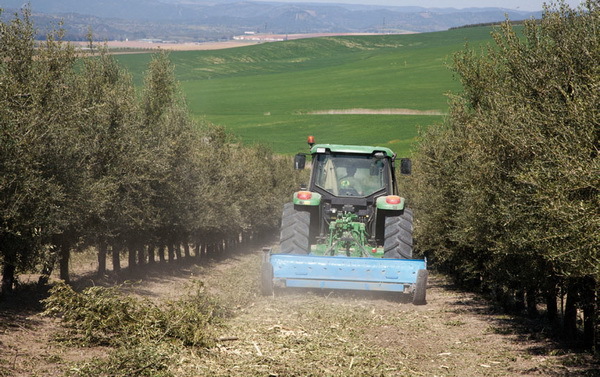 Moreover, the trial olives were harvested by a self-propelled machine in order to see the handling of each one of the varieties. Objective: To determine the usefulness of lateral mechanical pruning in the control of the robustness of the high density olive. This trial is being carried out in an exploitation planted in 1999. Carried out by: TODOLIVO in collaboration with the Instituto de Agricultura Sostenible del C.S.I.C. Objective: To determine the relation between the varieties of olive and the olive oil, the evolution of several parameters throughout the ripening period of the fruit in its different varieties, and how it affects the quality and the quantity of the olive oil. Carried out by: TODOLIVO in collaboration with the Universidad de Córdoba. 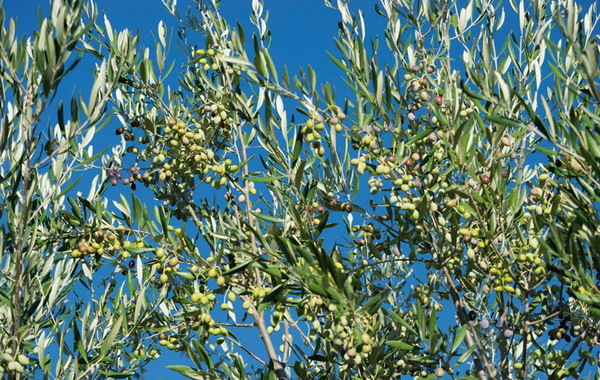 Objective: To obtain new varieties for high density olive groves, which enable us to obtain new oils which improve and enrich the current organoleptic catalogue and they surpass their parents as regards: earliness, fat yield, productivity, they have greater resistance or tolerance regarding determined diseases. 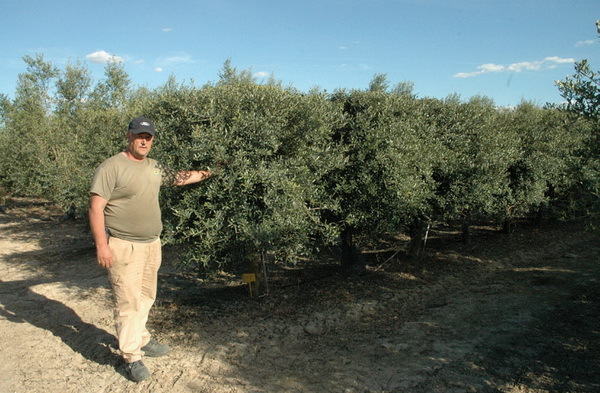 In March 2008, we began a genetic improvement of the olive programme in collaboration with the Universidad de Córdoba at the Todolivo Research Centre in Pedro Abad. • They have greater resistance or tolerance regarding determined diseases. 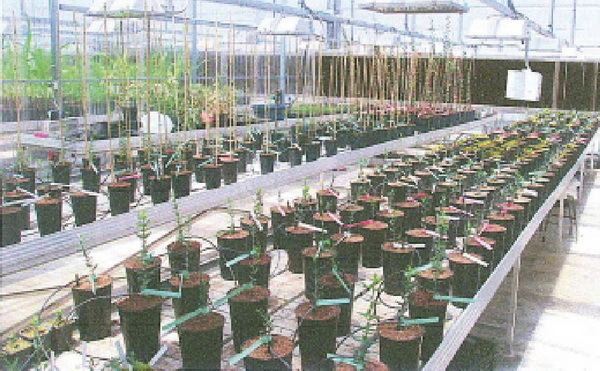 Selection of parents, crossing in flowering by parental pollination, germination of seeds, breeding of seedlings in greenhouses, new crossings, breeding of seed plants from the crossing in the field, first evaluations and selections, evaluation and propagation of pre-selections, comparative trial of pre-selections and final selection of new varieties. In 2008, the first crosses were started, obtaining 1.345 new varieties. In April 2010, these new varieties are planted and evaluated in the field. 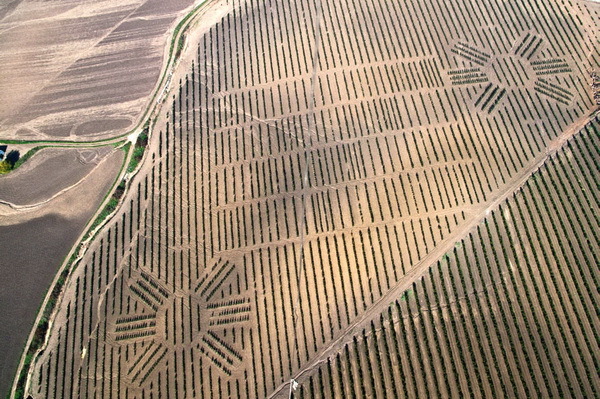 Of these, 38 are preselected, which have outperformed their parents in: precocity, fat yield, productivity and have shown greater resistance or tolerance to certain diseases..
Once multiplied, in January 2016, the 38 preselections are planted in ‘La Mata’ (research estate of Todolivo in Villafranca de Córdoba), with the aim of being evaluated again and compared with a world selection of the most productive varieties currently in existence (these are planted, together with the preselections). In this last phase, they are subjected to a new agronomic test and a physical-chemical and sensorial analysis of their oils. Preselections that exceed this last phase will become new varieties available to farmers in the coming years. It starts in 2009, new crosses are made, of which 543 new varieties are obtained, which are currently being evaluated in the field. 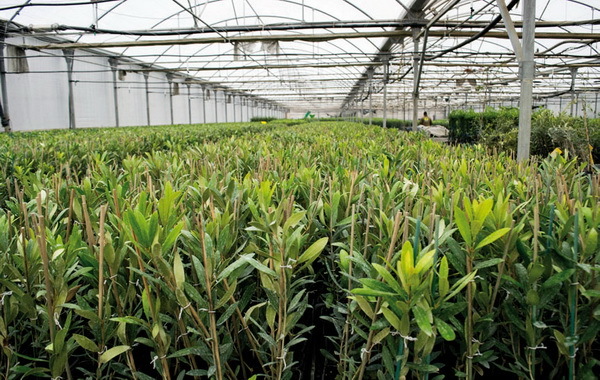 32 plants are obtained, which are planted in a trial in the estates of ‘Las Hazuelas’ and ‘El Calderito’. Carried out by: TODOLIVO in collaboration with Verdtech Nuevo Campo, S.A. and the Universidad de Huelva. 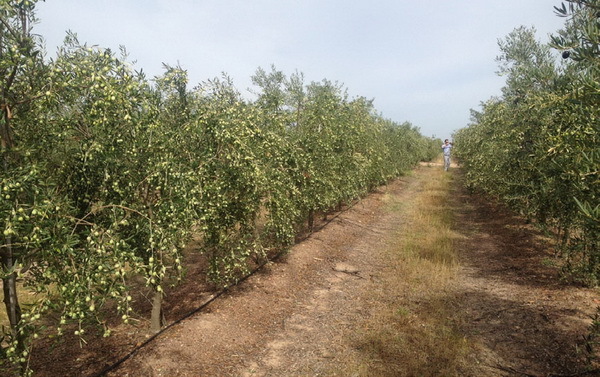 Objective: To study the performance pattern of the olive regarding hydric stress, characterise it and optimise indicators, which in field conditions make it possible to evaluate the stress in order to take decisions concerning irrigation. Carried out by: TODOLIVO in collaboration with the companies Probelte, Mycosym, Mycovitro and Biotech. Objective: To determine the benefits of mycorrhizas, Litonita and Biopron in olive saplings analysing, among other parameters, the increase in the root surface, health protection at preventive level as regards root fungus diseases, nematodes and the improvement of production. 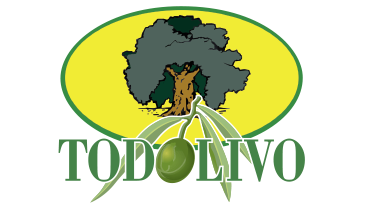 Objective: Development of new prototypes of olive harvesters, using the knowledge and experience of the technical team of Todolivo and carrying out trials in plantations with the Todolivo High Density Olive Grove System. For example, the prototype which gave rise to the first specific harvester for the exclusive harvesting of olives manufactured by New Holland (Model VX7090 Olive) or the prototype which gave rise to the subsequent evolution (Model 9090X Olive). In recent years, Todolivo has acquired 14 harvesters models 7090 Dual – 7090 Olive and 9090 Olive from the firm New Holland. Objective: To adjust the levels of nitrogen with more precision in the diagnosis and, consequently, in the nitrogen fertilisation of the olive tree. 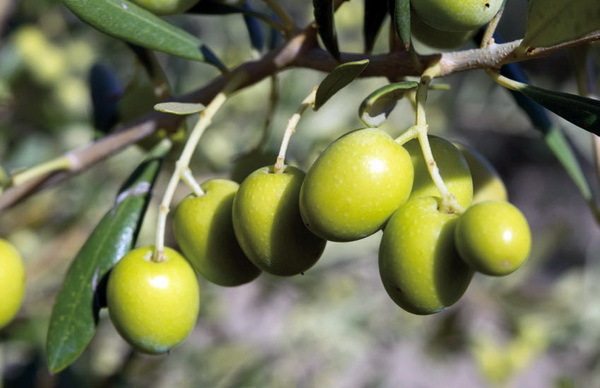 Results obtained in previous experiments point to the fact that the critical level of deficiency currently established for the olive at 1.4% could be overestimated. In addition, negative effects have been observed both in the tree and in the harvest with excess nitrogen, but a level of excess from which these effects are observed has not been established. Carried out by: TODOLIVO in collaboration with the Universidad de Sevilla and IFAPA of Cordoba. Objective: To know the optimum amount of water in a High Density Olive Grove plantation and when to apply this. 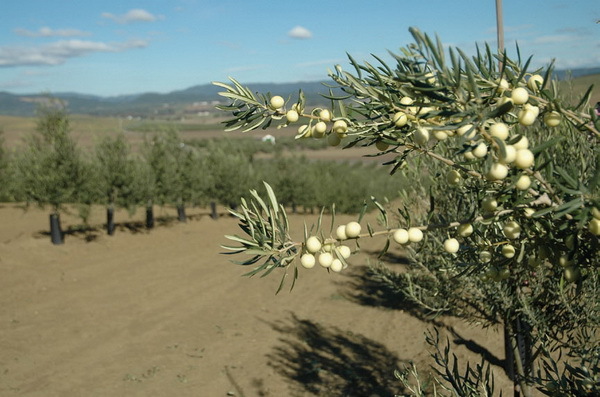 To achieve this, several strategies of controlled irrigation deficit and with no irrigation at all were carried out in order to know their influence on the robustness, the gelling, the production and the quality of the oil in high density olive grove plantations. The development of the trial was divided into three different phonological stages owing to the fact that hydric stress depends on the duration, the intensity and the time of application. Period I; from budding to the time the stones harden, Period II: from the hardening of the stones to the commencement of the accumulation of oil and Period III: from the commencement of the accumulation of oil to harvesting. Carried out by: TODOLIVO in collaboration with Repsol S.A. Location: Los “Olivillos” Estate, Antequera (Malaga) and “Explotaciones Agrícolas Sánchez y Beato” Estate (Villanueva de Algaidas – Malaga). Planted and assisted by Todolivo.. 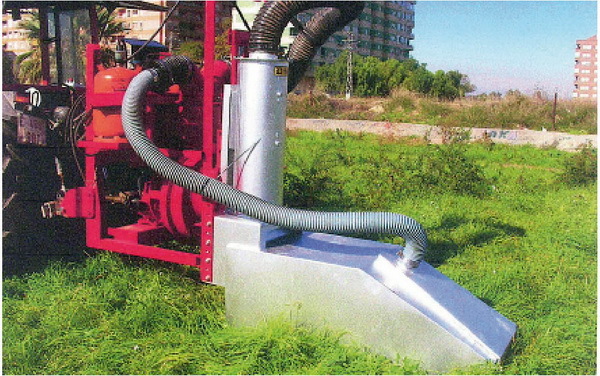 Objective: To study weed control through thermal treatment, consisting of the application of heat (generated with propane gas) to the weeds which grow in the application field of cultivation, in such a way that its intensity and the time of exposure provoke a drastic expansion of the liquid (ebullition) of the cells of the plant and, therefore, the breakage in the walls without the combustion of the vegetable material. Objective: To determine and evaluate the performance of the two systems for anchoring the olive tree until the second harvest when training is not required. Variety: Arbequina i-21®, Bodeguera, Changlot Real, Cornicabra, Empeltre, Frantoio, Grosal de Albocafer, Hojiblanca i-53, Koroneiki i-38®, Manzanilla Sevillana i-55, Picual i-11 and Sevillenca. Objective: To study the incidence which “Verticillium” has on the varieties, quantifying mortality. 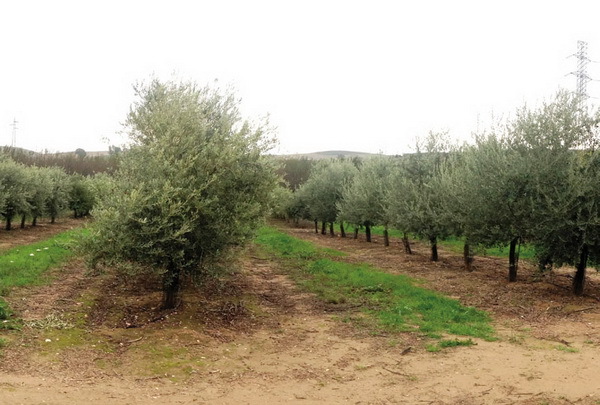 34 - DETERMINATION OF THE INFLUENCE OF ORIENTATION IN RAINFED HIGH DENSITY OLIVE GROVE PLANTATIONS. Location: Todolivo Research Estate “El Calderito” (Rainfed). 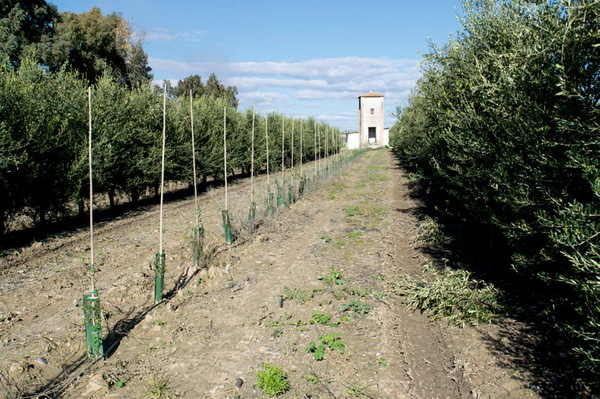 Objective: To study the influence of orientations on productivity and fat yield of the rainfed high density olive grove plantations. To do this. A study was made of the production, the vertical distribution of the blossoming, fruit bearing and other components of the cultivation (Number and weight of the fruit, calibre and oil content) in oil groves with different orientations. Carried out by: TODOLIVO in collaboration with the Universidad de Cordoba. Location: Todolivo Research Estate“El Calderito” (Rainfed). 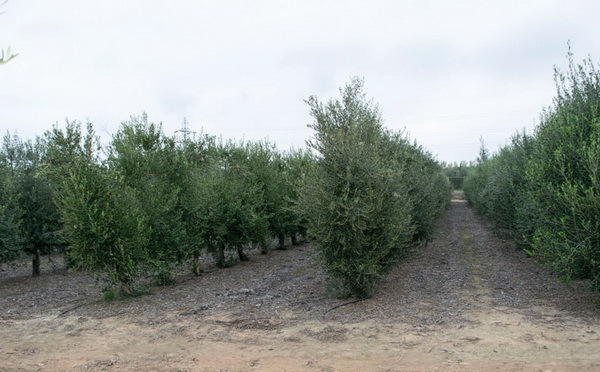 Objective: Among other parameters, to compare the productivity and fat yield of the rainfed high density olive grove, as regards the varieties of olive described above, with different widths of path in the plantation: 4×1,75m; 5×1,75m; 6×1,75m and 7×1,75m.. 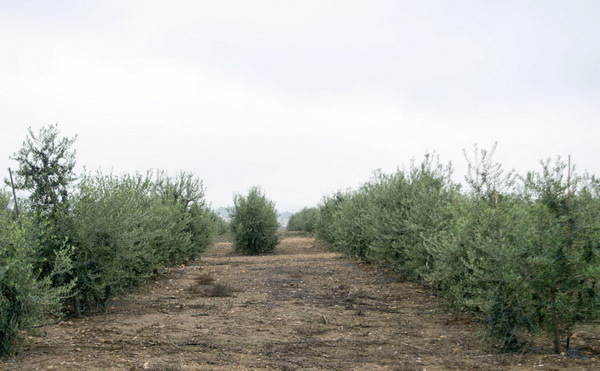 Objective: Among other parameters, to study the productivity and fat yield of the rainfed high density olive grove with different widths of paths and distances between olive trees in the lines; 5, 6 and 7m (distance of width of path) x 1.5;1.75; and 2 m (distance between olive trees in the plantation line). Carried out by: TODOLIVO in collaboration with Red Andaluza de Experimentación Agraria. Variety: Picual i-11, Lechín de Sevilla, Sikitita, Tosca, Koroneiki i-38®, Hojiblanca i-53, Cornicabra, Chaglot Real, Carrrasqueño de Alcaudete, Arbosana i-43®, Arbequina i-21®, 78-5, 268, Zaiti, Empeltre and Royal de Cazorla. 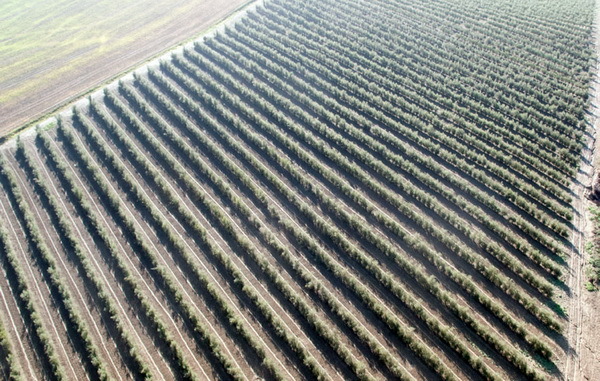 Objective: Among other parameters, to study the productivity and fat yield, in the varieties of olive described above with a plantation layout of 6×2 m.
Objective: Among other parameters, to study the productivity and fat yield, in the varieties of olive described above with different layouts of irrigated high density olive grove plantations. Location: Plot located in the “Campus de Rabanales” of the University of Cordoba, planted and technically assisted by Todolivo. 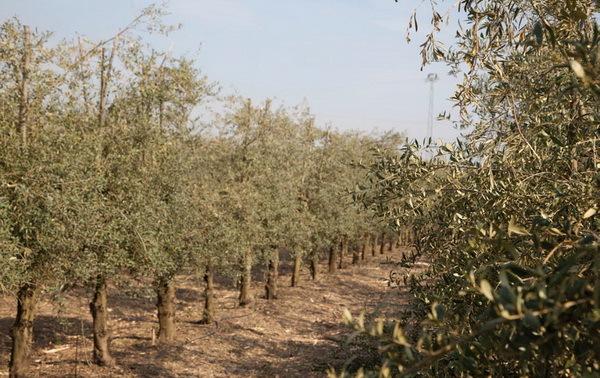 Objective: To study the influence of different orientations on productivity and fat yield of the irrigated high density olive grove plantations. To do this, a study was carried out of the production, the vertical distribution of the flowering, fruit bearing and other crop components (number and weight of the fruit, oil calibre and content) in groves with different orientations. Objective: Among other parameters, to study the productivity and fat yield in the varieties described above with layouts of 4x2m; 5x2m and 6x2m. 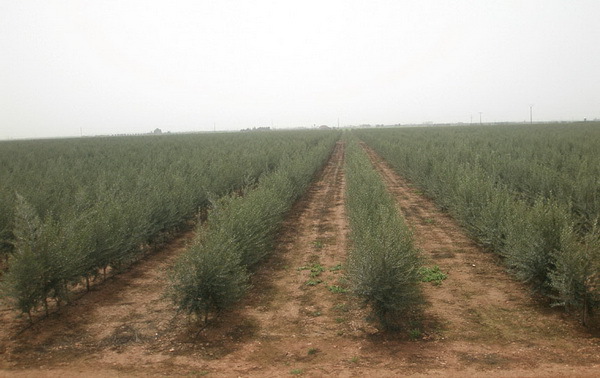 Objective: Among other parameters, to study the productivity and fat yield of the irrigated high density olive grove with different layouts of irrigated plantation: 4. 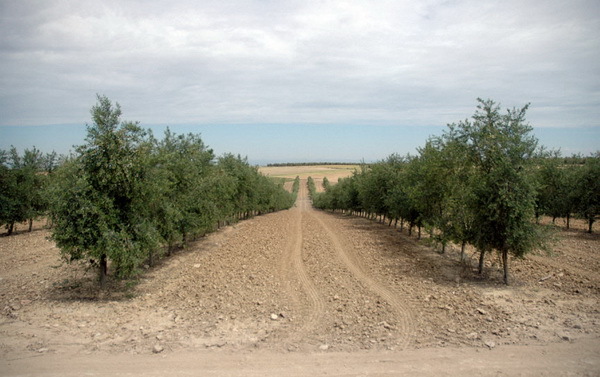 5 and 6 m (width of path) x 1.5; 1.75 and 2 m (distance between olive trees in the plantation line). 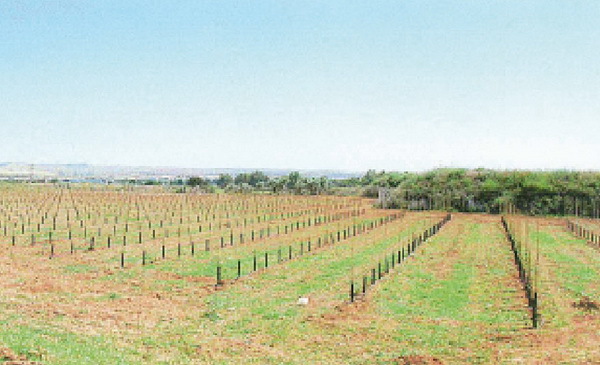 42 - TRIAL OF DIFFERENT PROVISIONS OF IRRIGATION WATER FOR HIGH DENSITY OLIVE GROVE PLANTATIONS. Variety: Arbequina i-21®, Arbosana i-43®, Koroneiki i-38®, Sikitita and Tosca. 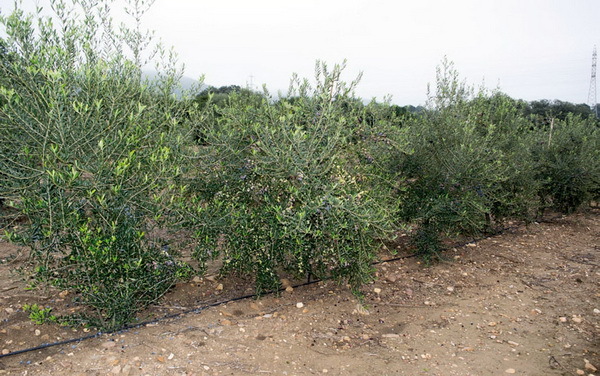 Objective: Among other parameters, to study the productivity and fat yield in the varieties mentioned above planted in high density olive groves with different provisions of irrigation water. Location: Plots located in the research estates which Todolivo has in Pedro Abad, Cordoba (Calderito) and El Camarero Estate. Objective: To study efficiency in the control of olive peacock spot, using different types of treatments. Carried out by: TODOLIVO in collaboration with Investigación y Avance Biotecnólogico. 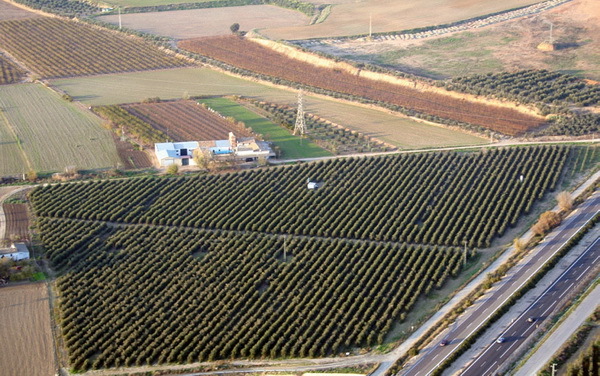 Location: Plot located in the Todolivo Research Estate in Pedro Abad (Córdoba). Objective: To inhibit the polyphenol oxidase enzyme present in the olives and improve the quality of the olive oil obtained through an increase in the total amounts of polyphenols. Location: Estate located in Monforte (Portugal), planted and assisted by Todolivo. Variety: Galega, Azeiteira, Arbosana i-43®, Sikitita, Koroneiki i-38®, Arbequina i-21®, Picual i-11, Cornicabra, Verdial and Gordal Sevillana. 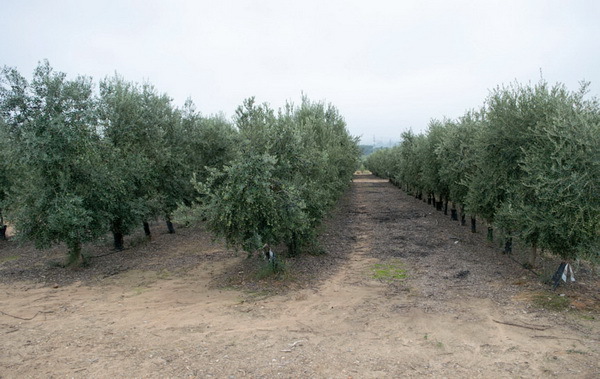 Objective: Among other parameters, to study the productivity and fat yield in the varieties mentioned above in irrigated high density olive groves, with different widths in the plantation line; 6×1.5m; 6x2m; 6×2.5m; and 6x3m. Carried out by: TODOLIVO in collaboration with the Escola S. Agraria de Santarem. Location: Plot located in Santarem (Portugal), planted and technically assisted by Todolivo. 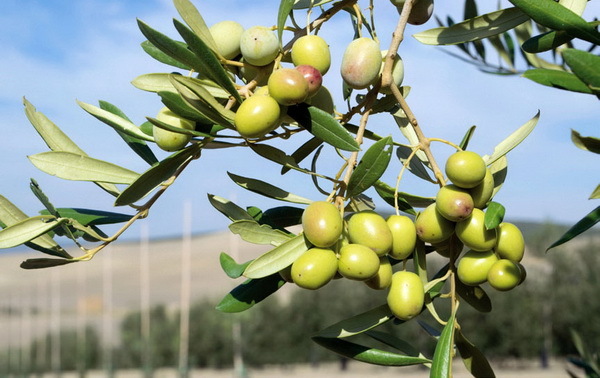 Objective: Among other parameters, to study the productivity and fat yield in the new varieties of olives and in comparison with the traditional high density olive grove varieties. Carried out by: TODOLIVO in collaboration with Agromillora Iberia. Location: Plots located in Abrantes (Portugal)with a layout of 5 x 1.5m and in the Todolivo Research Estate in Pedro Abad (Cordoba), with a layout of 3.75 x 1.35m. Planted and assisted by Todolivo. Objective: To study the performance of this variety in different layouts and climates in order to compare them as regards production and fat yield with the rest of the varieties. Location: Todolivo Research Estate in Pedro Abad (Cordoba). Planted and assisted by Todolivo. 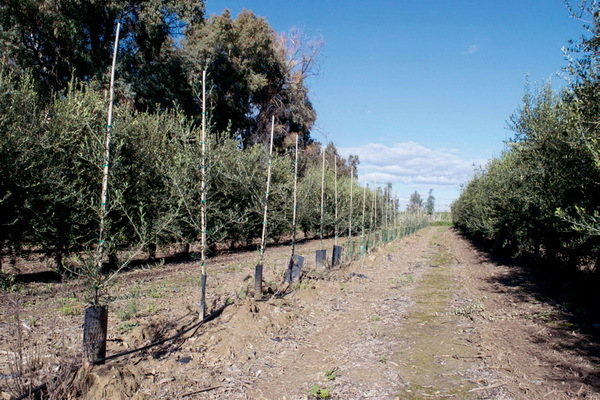 Variety: Manzanillo Sevillano i-55 grafted with dwarfing rootstock and ungrafted Manzanillo planted in a layout of 3.75 x 1.35 m.
Objective: To make a comparative study of the robustness, production and fat yield of the two types. Location: Several estates of Cordoba. 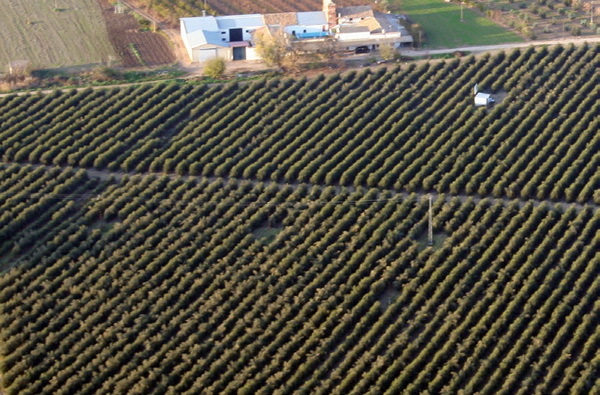 Objective: To comparatively determine the Carbon Footprint, in plantations with the “Arbequina” variety in a high density and intensive olive grove. In plantations with the “Picual” variety in traditional and intensive plantations. Location: Estate located in Monforte, planted and technically assisted by Todolivo. Variety: Arbequina i-21®, Arbosana i-43®, Koroneiki i-38®, Sikitita, Oliana, Galega and Cobrançosa. Objective: Among other parameters, to carry out a comparative study of the productivity and fat yield in the varieties described above in layouts of 6 x1.5m.